Welcome to the Department of Animal Control! Bears have been migrating to Ohio from Pennsylvania, West Virginia, Kentucky and Michigan. The bears are generally 2 to 3 years of age and are looking for a place to live, our park systems provide refuge for them. 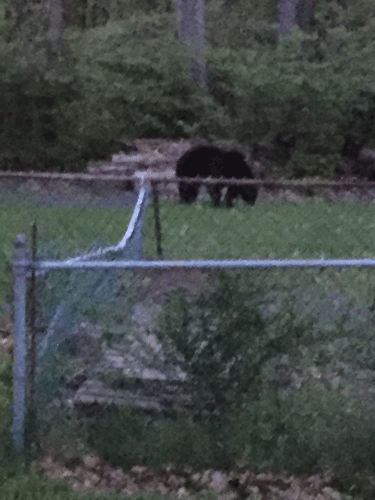 In recent years, bears have been sighted in Brecksville and surrounding areas. As with any wildlife you want to avoid leaving any food outside. Do not feed your cat or dog outside or make sure you bring in the dishes immediately after your pet is finished eating. Birdseed is also an attractive snack for bears and other unwanted wildlife. Keep garbage cans in your garage or shed until garbage pickup day. Last but not least clean the grease from your grill each time you use it. What should you do if you see a bear? First and foremost, remain calm. Generally, bears are not aggressive and do not want to be near you. If the bear is aware of you and does not leave, avoid eye contact and back away slowly. Allow the bear a route to escape. Do not run or climb a tree - the "prey drive" could kick in and cause the bear to chase you. Notify the police immediately. Most sightings of bears occur between Memorial Day and July 4th. 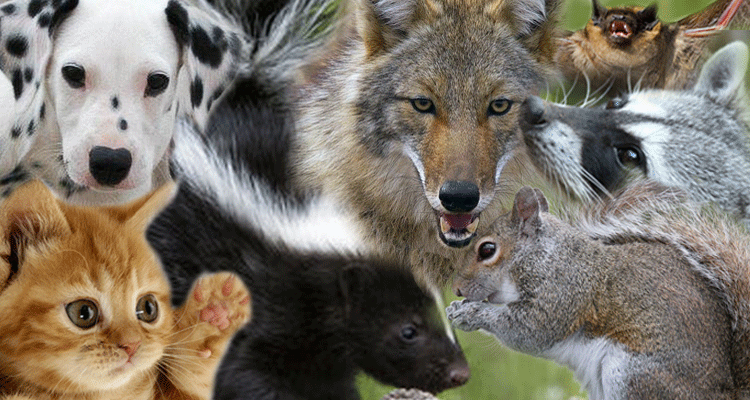 Whether you have skunks living under your deck or coyote roaming your back yard or you have simply lost your dog or cat. The department is here to help. Cliffette Thacker is the City's Animal Warden. She has been with the city over 20 years. Cliffette has training with domestic animals as well as wildlife. 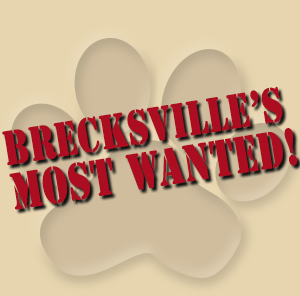 When a Brecksville pet goes missing we will post a picture and description here to help find them. Please contact the webmaster with the details and a picture of your missing pet. 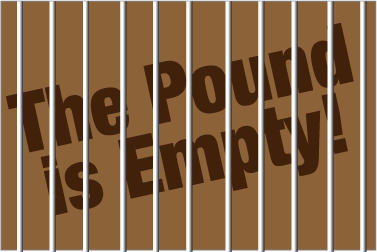 We will post a picture of animals at the pound who have not been claimed. Many dogs or cats are stray or unwanted and just need a forever home. If you have questions about what to do with either standing water or mosquito bites, please contact 216-201-2000.